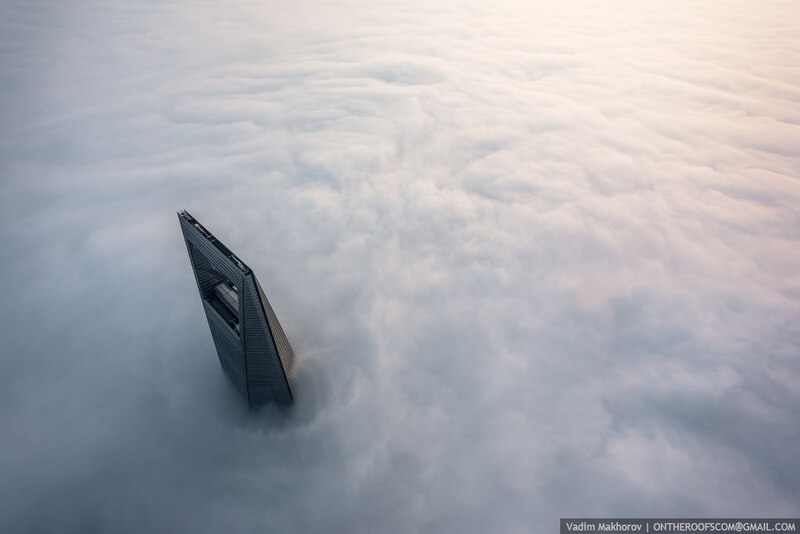 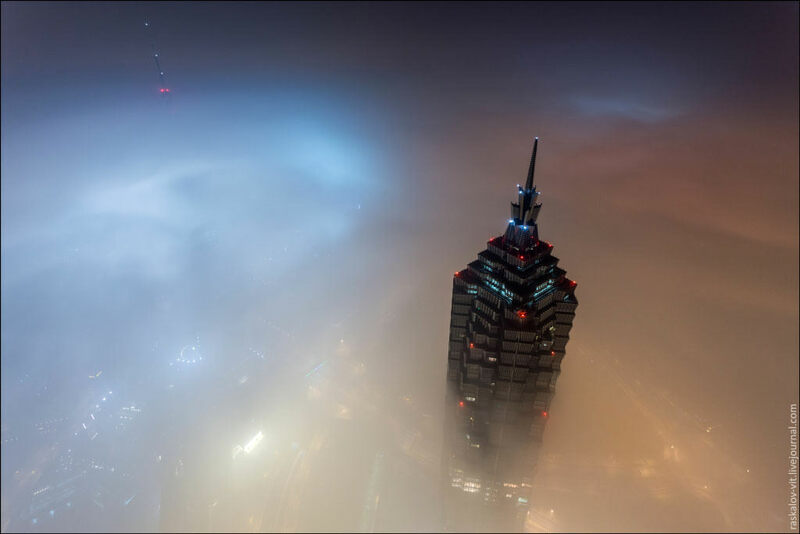 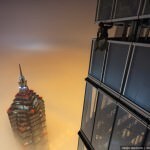 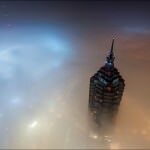 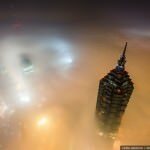 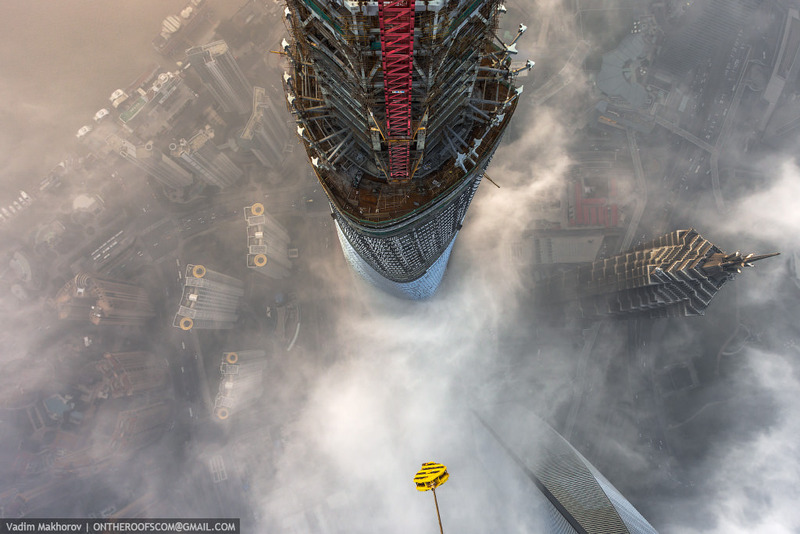 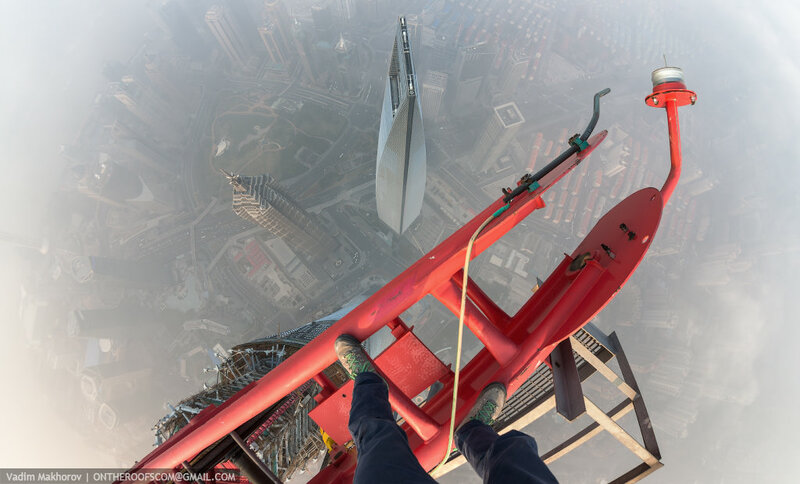 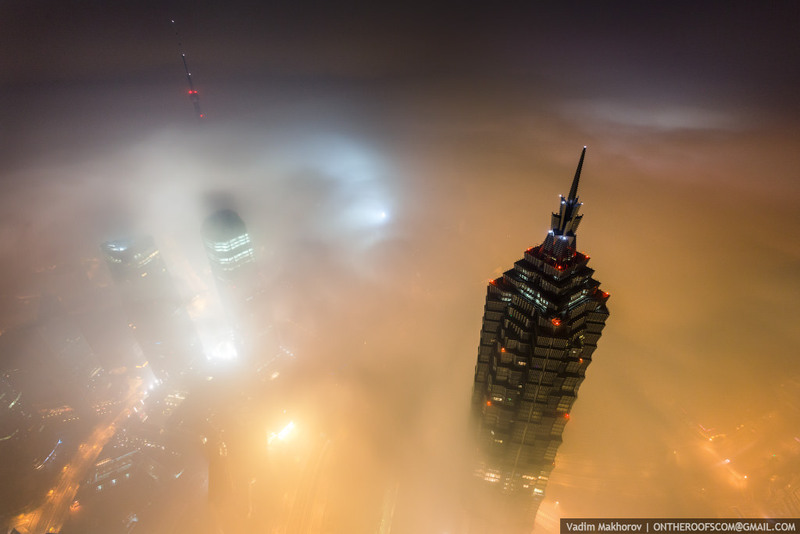 Two photographers, Vadim Makhorov & Vitaliy Raskalov, have shot to internet fame by climbing to the top of the still under construction Shanghai Tower in China on the last day of last year. 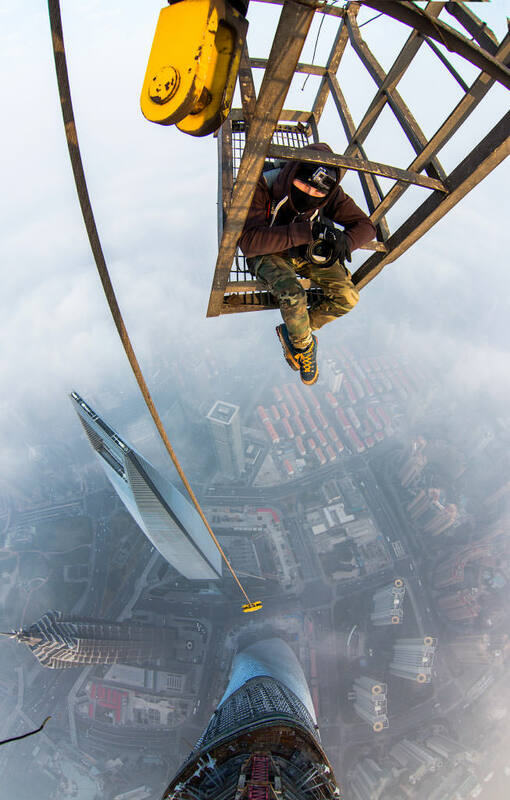 They videoed themselves both in the lead up to the climb and on the roof of the 632 metre high tower, the second tallest building in the world, the tallest being the Burj Khalifa in the United Arab Emirates (828 Meters). 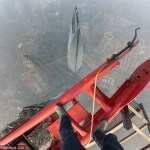 Be sure to check out their video below. 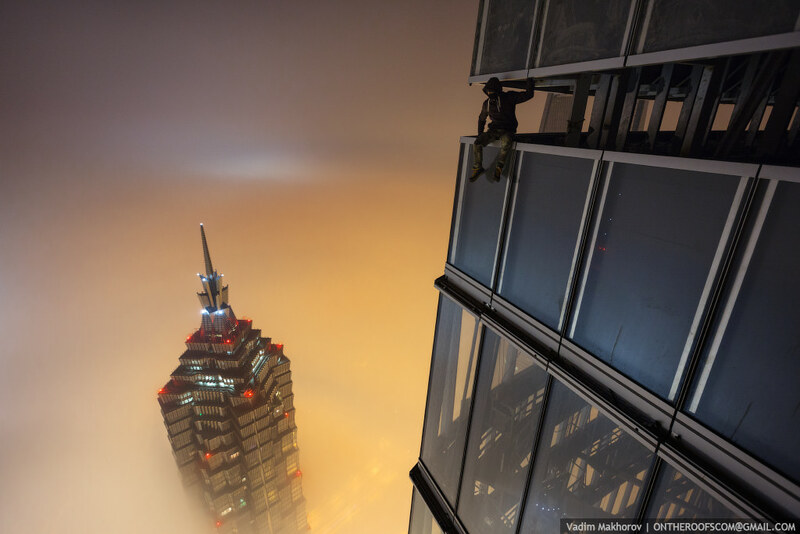 The pair climbed 121 stories to the unfinished roof, by foot and while there where spent 18 hours camping out waiting for the correct weather for the photos they wanted. 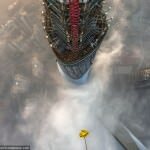 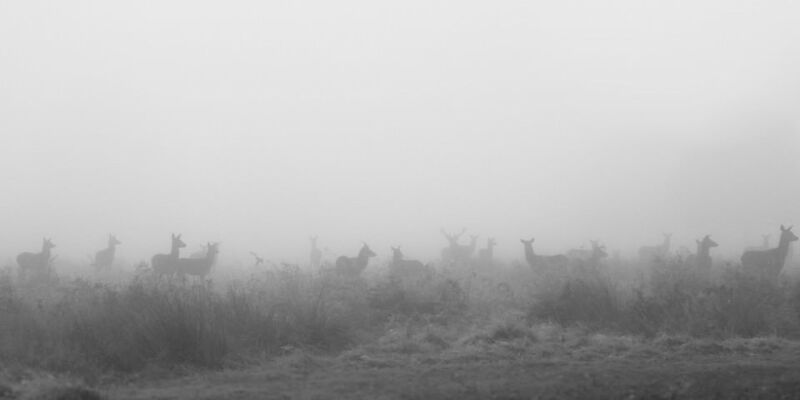 The reason behind the Jan 31th date is that it’s a national holiday in China, being the first day of China’s Lunar New Year, so things would be quiet, making it easier to break into the site and make their ascent.